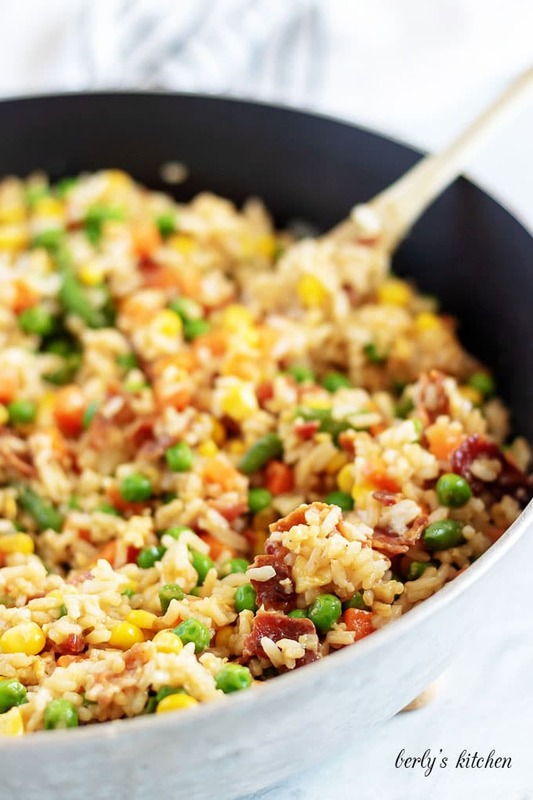 A savory homemade fried rice recipe with all the flavor of your favorite take-out restaurant. Pair it with egg or spring rolls for an Asian inspired meal! Kim and I cook at home, a lot. 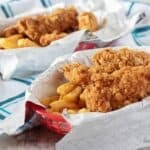 But, every now and then, we get the hankering for some fast food or take-out. Given that neither of us want to spend the money or get a tummy ache, we usually create a homemade version of our favorite dishes. 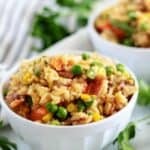 Our homemade fried rice is one of those recipes. In fact, I started making this about a decade ago when the economy took a plunge here in the States. Truth is, we were broke, like can’t afford to own a car broke. As a result, I learned to get really creative in the kitchen, using a limited budget. Well, rice and frozen veggies are cheap. They became a staple food in our household for about a year and a half. Until we could get back on our feet. The rest, as they say, is history. But, I’m grateful for those lessons, we learned a lot. If your having some money issues, then this recipe might be for you. Let’s get cooking! 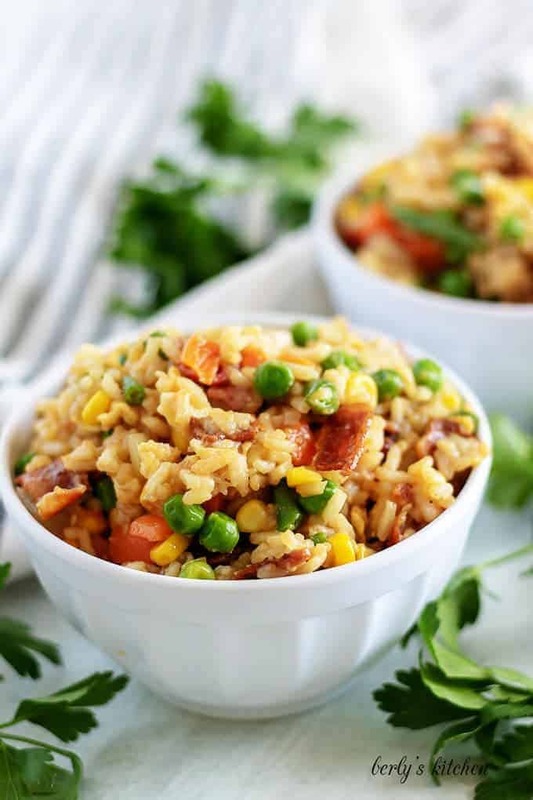 Our fried rice recipe has quite a few steps and takes a little while to prepare. But, I’ve written it in way that should help you multi-task. Hopefully, that cut down the overall time. Using a medium sized pot, pour in the water and add your rice. Bring the water to a boil over medium heat. Let it boil, uncovered, for about ten (10) minutes. Or, until the rice and water levels are about equal. After that, remove it from the heat, cover it, and let it set for the next twenty (20) minutes. Do not uncover it! Now that your rice is at a point where it doesn’t need to be babysat, you can focus on the rest of the meal. For now, let’s scramble the egg and fry the bacon. Set the scrambled egg aside and when the bacon is done, drain away the fat and crumble it up. 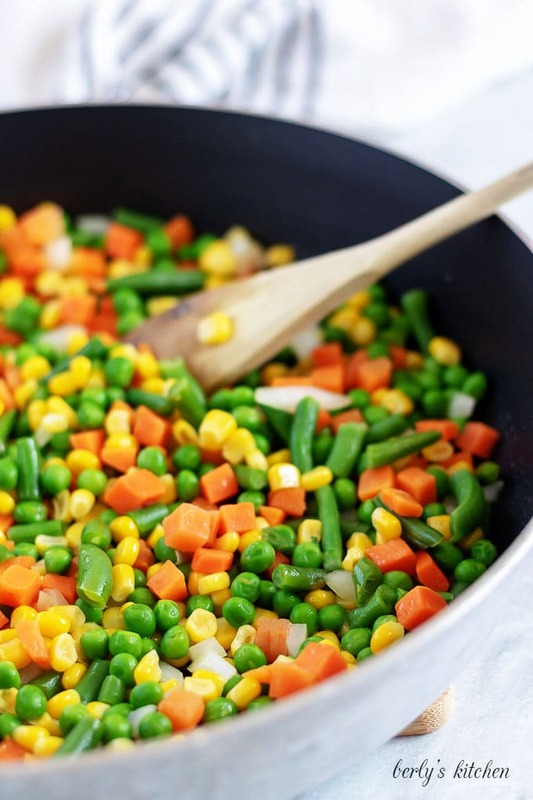 Grab a large saute pan and toss in the frozen vegetables, the diced onion, and two (2) tablespoons of the sesame oil. Cook everything over medium heat for about ten (10) minutes. All the while, stirring the veggies as they saute. By the time the vegetables are done, your rice should be ready. Add all of the cooked white rice to the pan with the vegetables. You’ll also want to add the crumbled bacon, scrambled egg, and the remaining two (2) tablespoons of oil. Afterward, let the rice and vegetables cook for about two (2) to three (3) minutes. Again, using a plastic or wooden spoon to move the ingredients around the pan. All that’s left to do is to drizzle or pour in the soy sauce and serve. The dish should now have that familiar appearance of take-out fried rice. I won’t mislead you though, it will not have the same texture. Mainly, because restaurants use woks and extremely high temperatures to make stir fry. The truth is, you’d be hard pressed to do that at home. 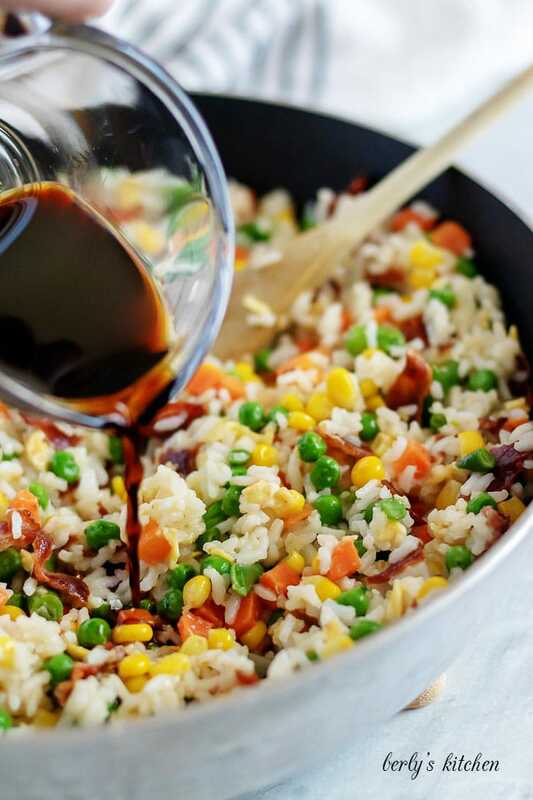 With that being said, you’re homemade fried rice should be more than tasty enough to satisfy that urge for take-out. Pair it with spring rolls or a spicy slaw to cut through all that delicious fat. Kim and I hope you enjoyed the recipe and wish you all the best! 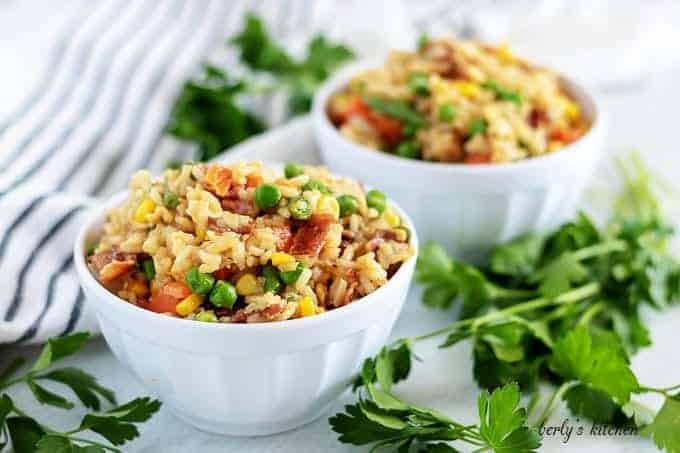 On the chance that you own a pressure cooker or Instant Pot, Kim has a pressure cooker white rice recipe. It’s pretty fool-proof. If you don’t trust yourself making the white rice on the stove-top, then give this a try instead. Looking at the calories and fat on the nutrition facts is enough to make a dietitian cry. But don’t fret, there are ways to cut down on both. For example, you can cut the sesame oil down from four (4) tablespoons to two (2) by using non-stick cooking spray for the frozen veggies. Also, try using low-sodium soy sauce to cut down the salt. Another option is to reduce the bacon or use turkey bacon instead. Get creative, just remember any changes you make will affect the outcome of the dish. Say your trying to watch your carbs, then you could use cauliflower rice in this meal instead long grain white rice. Need More Asian Inspired meal ideas? 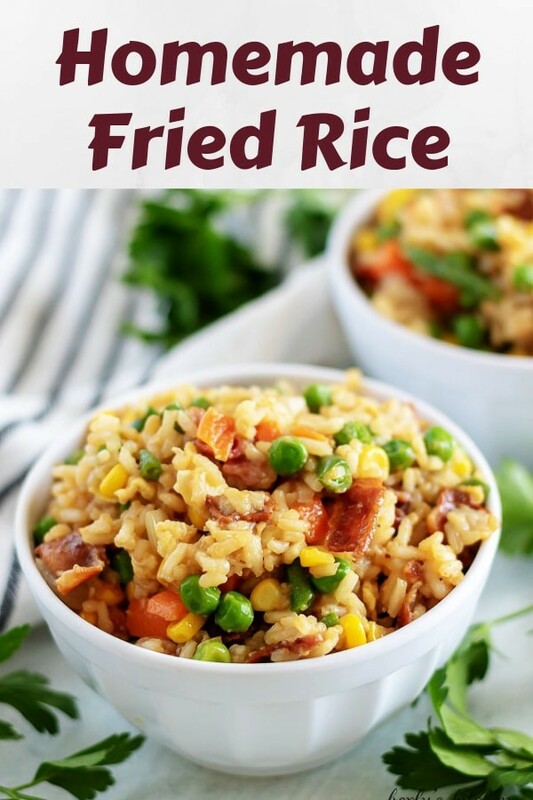 If you enjoyed our homemade fried rice recipe, please leave us a comment and rate the recipe card. You can also find us on Facebook, Pinterest, Twitter, and Instagram by searching for Berly’s Kitchen! In a medium pot, over medium heat, combine the rice and water. Bring it to a boil and let it cook for seven (7) to ten (10) minutes. Or, until the water level is almost equal to the rice level. Remove the pan from the heat, cover it, and leave it alone for about twenty (20) minutes. While the rice cooks, scramble the egg, and fry your bacon. Drain the fat away from the bacon, and crumble it. Using a large saute pan, over medium heat, saute the frozen vegetables and diced onion in two (2) tablespoons of the sesame oil. This should take about ten (10) minutes. By that time, your rice should be done, so add it to the vegetables. Additionally, add the crumbled bacon, scrambled egg, and the remaining two (2) tablespoons of sesame oil. 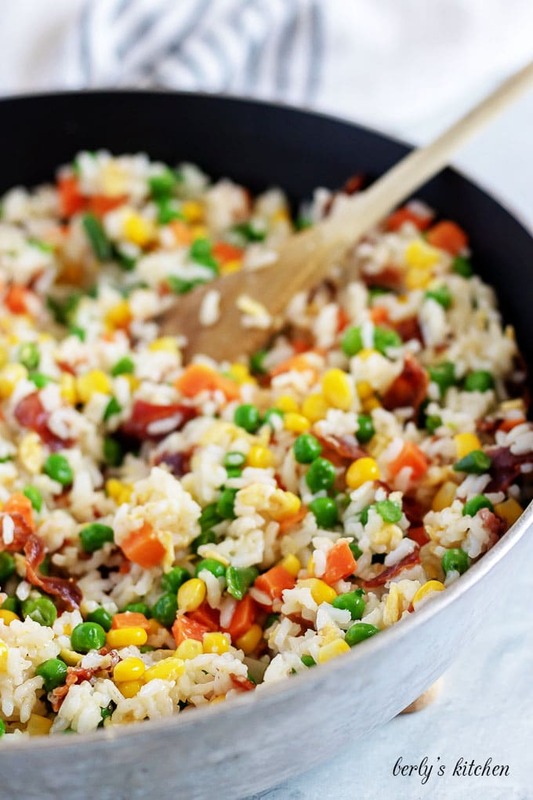 Fry the rice and veggies together for another two (2) to three (3) minutes. Then, stir in the soy sauce and serve. The calories listed are an approximation based on the ingredients and a serving size of approximately one (1) cup of homemade fried rice. Actual calories will vary. The fried rice can be stored in your fridge in a sealed container for up to three (3) days.